It can also be a time of great anxiety and worry for many – a time where you really don’t feel like yourself. Each experience is so different and individual and for some there are many challenges along the way. Homeopathy can help by offering a safe alternative to both mother and child through the journey of pregnancy, childbirth and post-labour care. The best preparation for a healthy pregnancy is before conception. Homeopathy optimises your health preparing you for pregnancy and can help improve hormone function when there is difficulty conceiving. If you would like more details on my 3 Month Preconception Programme please do get in touch. During pregnancy homeopathic treatment can help with minor problems such as morning sickness, constipation, heartburn, backache and mood swings. It is important that you contact your doctor or midwife if your symptoms are severe or persistent. There are many effective remedies that can help deal with possible problems during childbirth such as pain, exhaustion and a slow dilating cervix amongst others. After the birth, your body goes through a series of physical, emotional and hormonal changes. Homeopathy can help rebalance the body on all levels and promote swift healing. For example after-pains, bruising, breastfeeding difficulties, sleep problems and post-natal depression. “I met Eileen when I was pregnant and I was looking for a natural approach to boost my immune system. It has been a real pleasure to deal with Eileen who is caring and takes the time to really understand the needs of her patient. Just talking to her has been very helpful! Post-delivery, Eileen’s treatments were of great support to help me recovering from an emergency C-section as well as dealing with the difficulties of breastfeeding. I sincerely recommend a consultation with Eileen who will deliver a kind homeopathic service”. “Homeopathy has helped me greatly during and after pregnancy. It aided my recovery from the emotional turmoil of a traumatic labour and the physical pain associated with an Emergency C-Section. “Eileen has successfully helped me with a number of health and emotional issues – including endometriosis (cycle regularity, pain), fibroids (heavy periods, pain and growth), pregnancy concerns (relief of severe SPD/pelvic girdle pain, discomfort, itchy skin, sore breasts) and anxiety and depression. Eileen’s approach is to listen to the whole person and treat the whole person – not just an isolated part or symptom. This has been transformative at times I’ve really needed it. I’m looking forward to finding out how homeopathy can support me during my next big challenge…which is childbirth! If you’d like to book a Homeopathy Consultation with me, please click here. 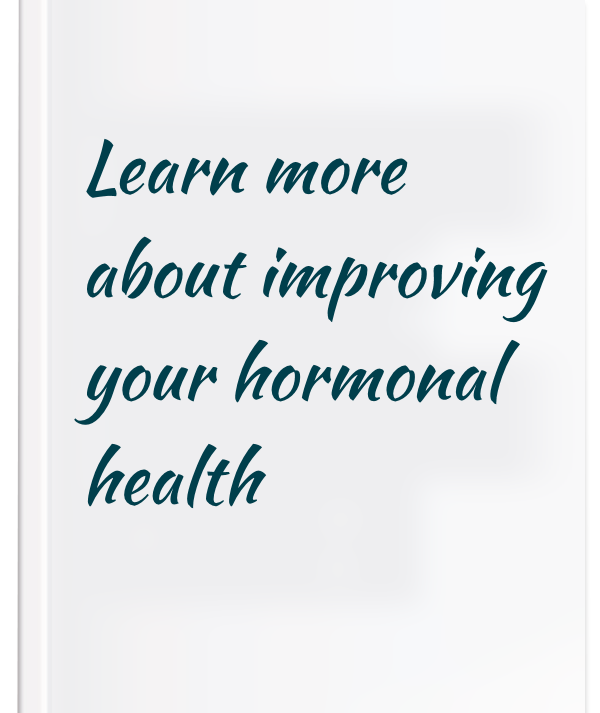 Sign up for Women’s Health Tips and News- It’s FREE! Which health areas concern you most right now? 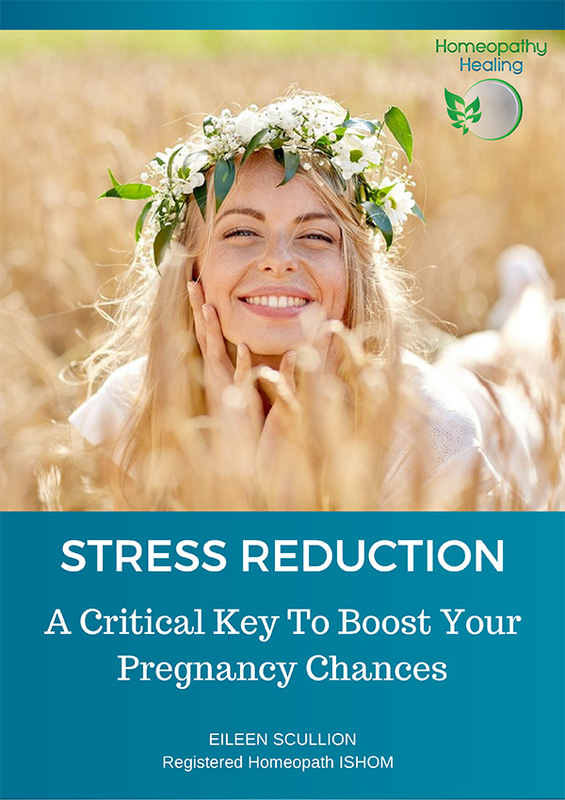 Discover 10 Ways Homeopathy can help reduce your stress and increase your chances of conceiving naturally when you sign up to our newsletter with tips and offers!